Textile Factory. National Highway 206. North of Portugal, in the River Ave Valley. 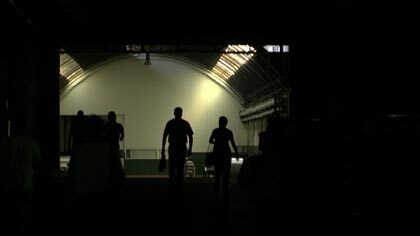 In my search for personal experiences of school, I came across the everyday life and routine of a factory that never shuts down, day or night, and those who work in there. The film shows an 80 years old textile factory. With 1200 workers, the factory exports 80% of its production to Germany, the EUA and Japan producing high quality textile for Armani and Hugo Boss. The factory still belongs to the Oliveira family. Inside its corridors and enormous machines, we follow the workers daily life as they talk about different professional and scholar experiences. 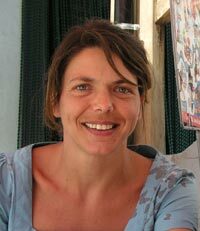 Catarina Alves Costa, filmmaker and anthropologist, born 1967, BA in Social Anthropology by the ISCTE, Univ. Lisbon,1990 and an MA in Visual Anthropology by the Granada Centre, Univ. of Manchester (U.K 1992). Since 1997 she works as a teacher in Visual Anthropology and Documentary Film in F.C.S.H, Nova University of Lisbon. She is also co-founder of the Production Company Laranja Azul where she works as a Producer and Director of Creative Documentaries. From 1995 to 2000 she worked in the National Ethnological Museum with Film Archives (mostly from Africa and Timor) doing research and production of Documentary films for exhibitions.